Maintaining your car is a year-round practice, but it becomes especially important when the seasons change and the conditions of the roads change along with them. At Glenn’s Auto Repair, our top priority is to provide high-quality service to our customers on each visit, and in this way, ensure the safety of our clients and their families on the road. To help keep you and your vehicle safe as the seasons change, we’ve compiles this list of 5 preventative maintenance tips you should consider as the temperature cools down. 1. Tires: This is a crucial part of seasonal preventive maintenance, because your tires will change as the seasons do. Whether you choose to roll on all-seasons until the snow and ice hits, or you rotate between a pair of summer and winter tires depending on the weather, you’ll need help switching back and forth, and making sure that everything lines up evenly for smooth and safe driving. It isn’t just a change of tire that’s necessary as summer eases into fall and fall brings the ice and snow of winter. 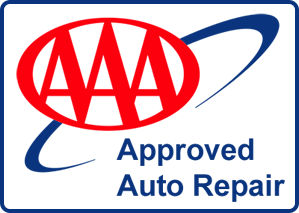 Your tires also require regular maintenance in the form of alignment and rotation. Over time, the tread on your tires wear down, usually on one side more than the other. This can cause uneven driving, and even make it difficult to steer properly over time. By rotating your tires regularly, you provide an even wear on the tread, which makes your vehicle run more smoothly and extends the life of your tires. 2. Oil Change: Not surprisingly, spring and summer can be cause for a buildup of additional debris and dust in your vehicle. Dry dusty roads, rain, insects, and other environmental factors which affect the wellbeing of your car are more intense during these warm seasons, which makes it a good point to get an oil change. Not only can your oil end up dirty over time, but the heat from the long summer months can also cause a faster depletion of fluids in your vehicle. Over time, your car’s oil will become clumpy and sticky, rendering it useless. You should get an oil change every 6 months or 10,000 miles. 3. Brake Inspection: Stopping power lessens on ice and snow, which makes any seasonal change a good time to have a brake inspection. Your mechanic will check out the caliper, rotor, drum, and pads to make sure everything is in working order. If you haven’t had your brake pads changed in a while, this is the best time to do so. Get those fresh pads in place, and give your car its best chance at a clean stop when it comes time to break. When the roads get slick, you’ll be thankful you did. 4. Heating and Air Conditioning: When the weather changes, you’re going to want a vehicle that can regulate temperature properly. So, whether you’re leaving the comfortable spring months and heading into a blasting summer heat, or you’re fading from crisp fall days into the cold winter wind, seasonal changes are a good time to have your heating and AC system checked. Your mechanic will do a visual inspection, check for any leaks or problems with fluids and vents, and make minor repairs to make sure your vehicle is warm and toasty for the winter, and cool and comfortable in the summer. 5. Tune-Up: Not sure which part of your vehicle requires the most work? A tune-up is a great way to put your mind at ease before the seasons and weather changes. Your mechanic will take note of any problems with the ignition, battery, engine, and scan for default codes to make sure that your vehicle will get you where you need to go safely. There’s no set standard for a tune-up in terms of what gets checked and what doesn’t, it varies from shop to shop. However, at Glenn’s Auto Repair, we work hard to catch any problem and fix it right away during your tune up process so you don’t have to worry about it later. For more information on preventative maintenance, or to learn more about the available auto services offered at Glenn’s Auto Repair, contact us today. Our friendly staff is always happy to answer any questions you might have, and we look forward to meeting new and returning clients at the shop. Book your appointment with one of our certified mechanics at your convenience, and see the difference than working with Glenn’s makes.